Egypte. May 2008. 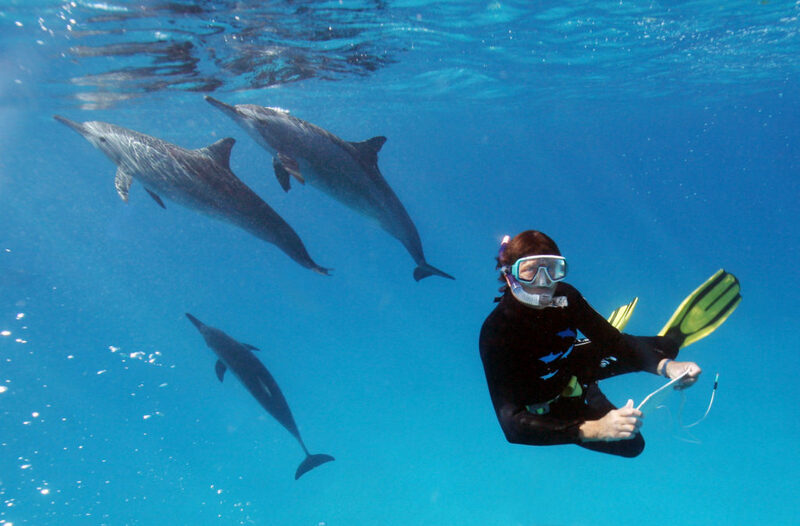 The spiner dolphins (Stella longirostris) in the reef of Shaab Sataya near Marsa Alam on the Red Sea coast. 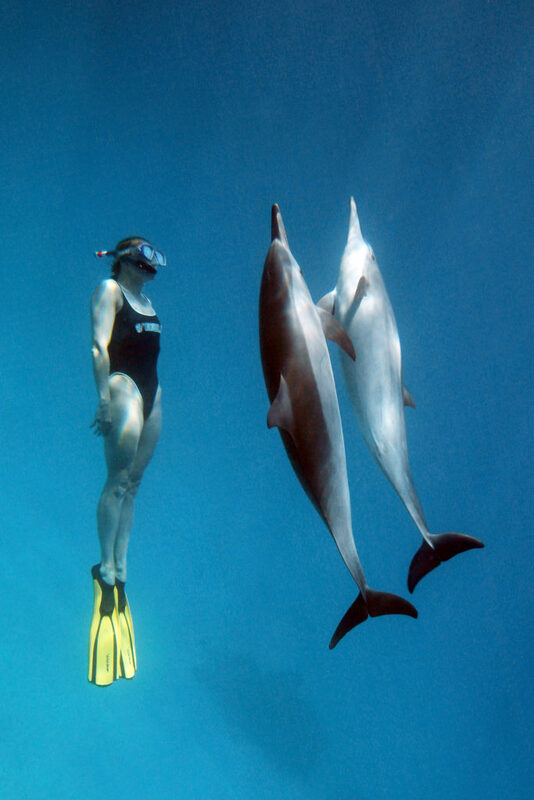 The pressure of touristic activities ruin the delicate ecosystem of marine biodiversity causing a great change in dolphin behavior. Photo by Alexis Duclos. The Red Sea is one of the largest reservoirs of marine biodiversity in the world. 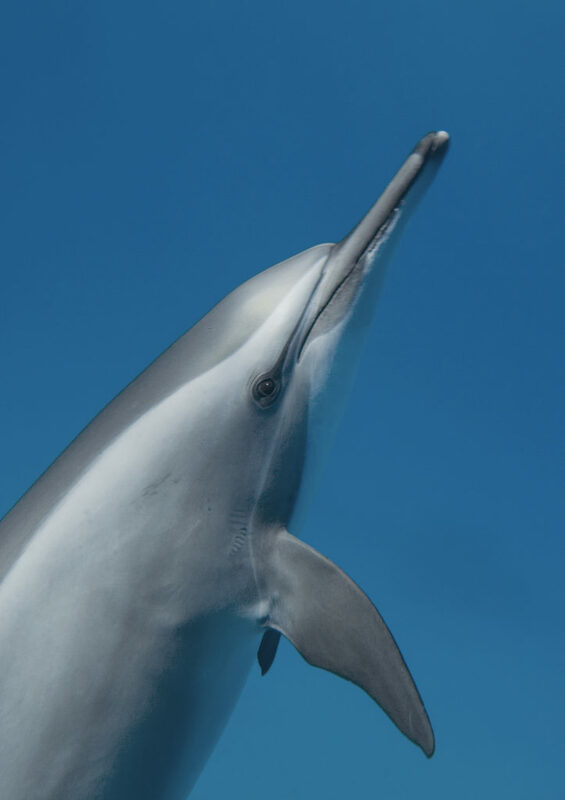 Every day several dozen long-nosed dolphins (Stenella Longirostris)* can be found in the lagoon of Shaab Sataya in southern Egypt. 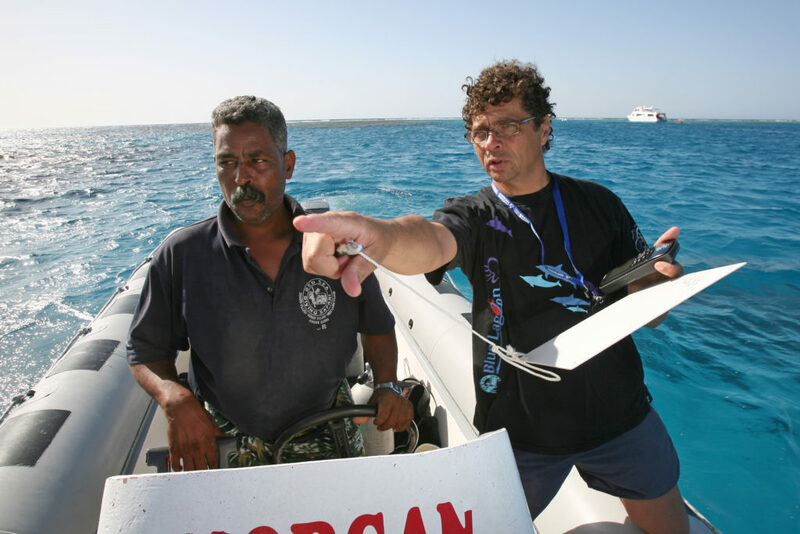 This extraordinary gathering is the focus of a scientific study conducted by Patrick Louisy**, a doctor of oceanology and biology with the collaboration of ecological volunteers fascinated by marine live. 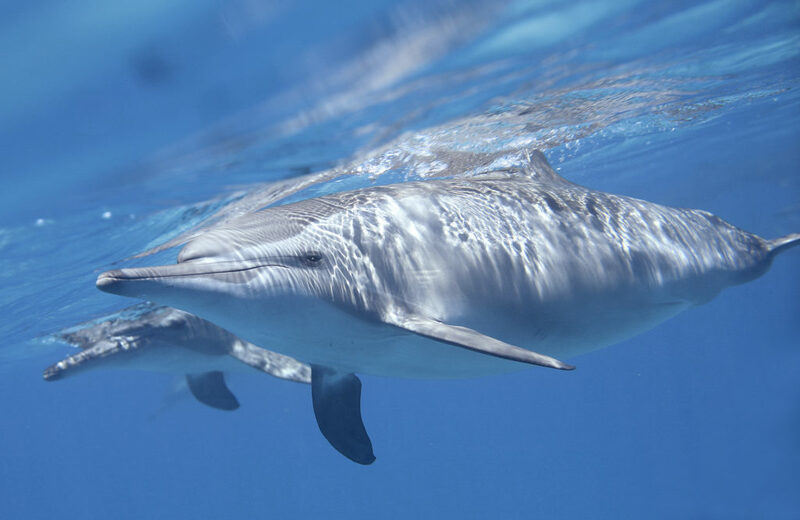 The goal of the work is to better understand the behavior and the lifestyle of these animals in order to gather crucial information to help prevent anarchistic development of tourism which threatens the lives of dolphins. La mer rouge est un des plus grand réservoir de la biodiversité marine dans le monde. 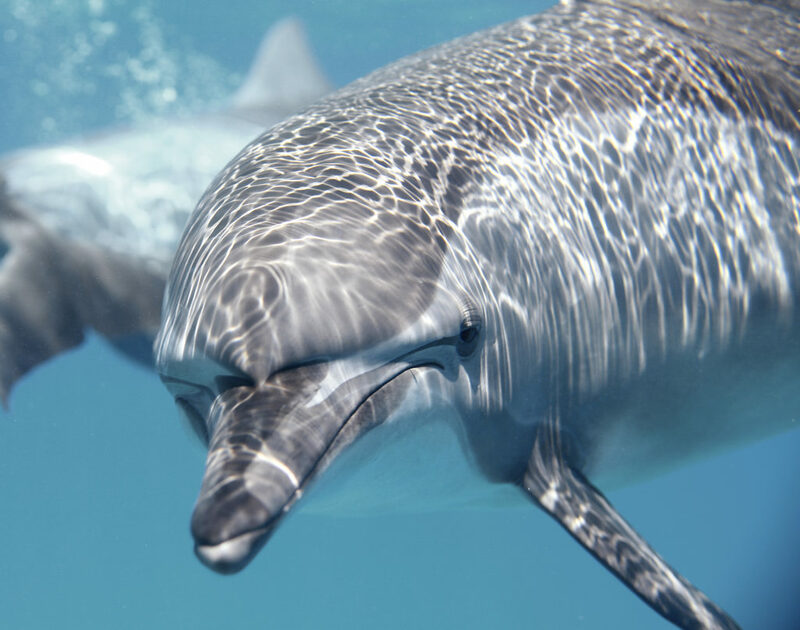 Chaque jour plusieurs dizaines de dauphins à long bec (Stenella longirostris) * se retrouvent dans le lagon de Shaab Sataya dans le sud égyptien. Ce rassemblement extraordinaire fait l’objet d’une étude scientifique menée par Patrick Louisy **, docteur en océanologie, avec la collaboration d’éco-volontaires passionnés par la vie marine. Le but de ce travail est de mieux comprendre le comportement et le mode de vie de ces animaux afin d’apporter des informations cruciales pour prévenir un développement touristique anarchique qui à terme, menacerait la vie des dauphins. Egypte. May 2008. Patrick Louisy poses with his underwater slate board. 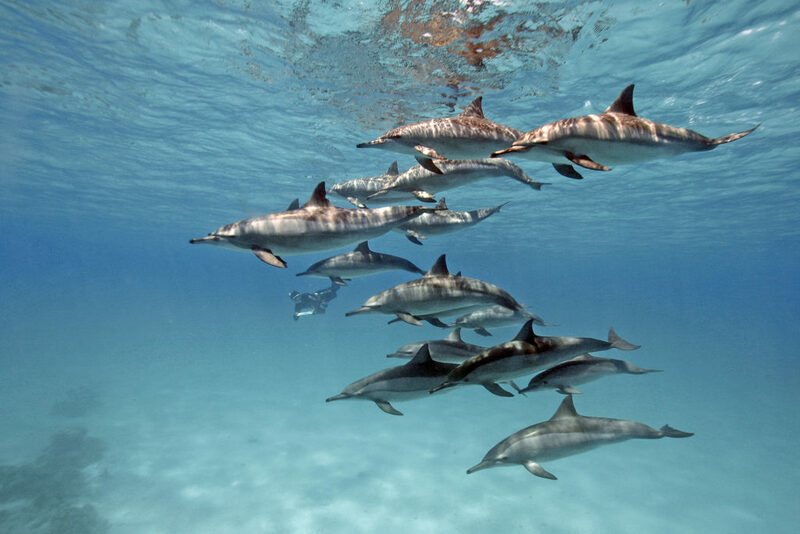 The spiner dolphins (Stella longirostris) in the reef of Shaab Sataya near Marsa Alam on the Red Sea coast. Egypte. May 2008. 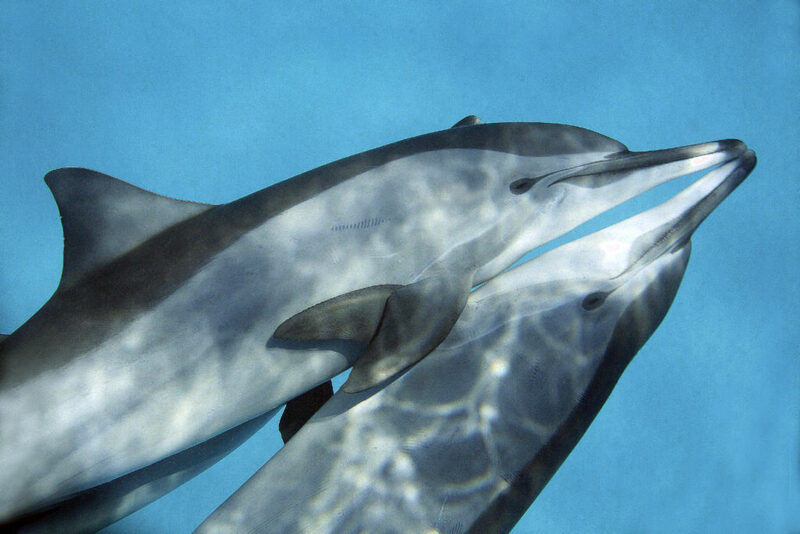 Dauphins coupling. 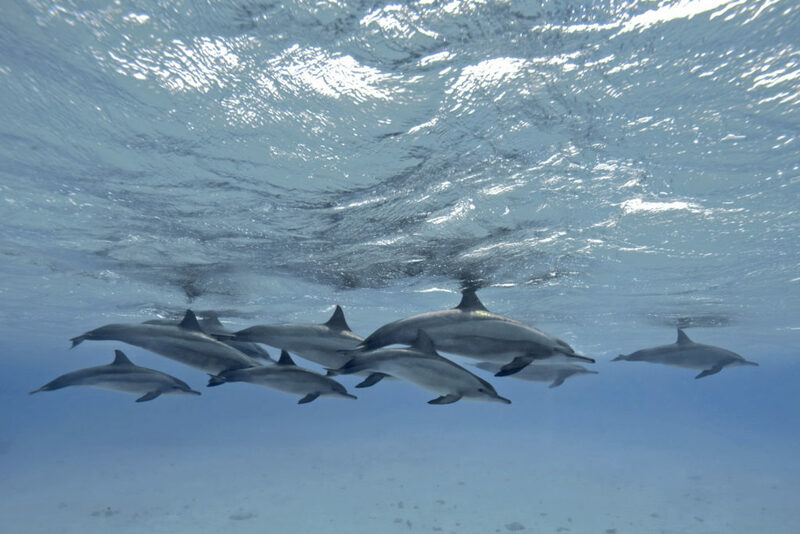 The spiner dolphins (Stella longirostris) in the reef of Shaab Sataya near Marsa Alam on the Red Sea coast. 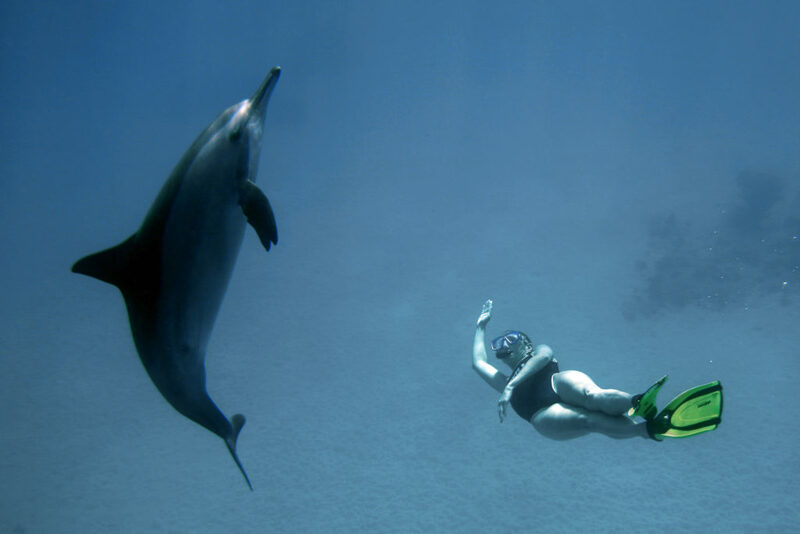 The pressure of touristic activities ruin the delicate ecosystem of marine biodiversity causing a great change in dolphin behavior. Photo by Alexis Duclos. Egypte. May 2008. 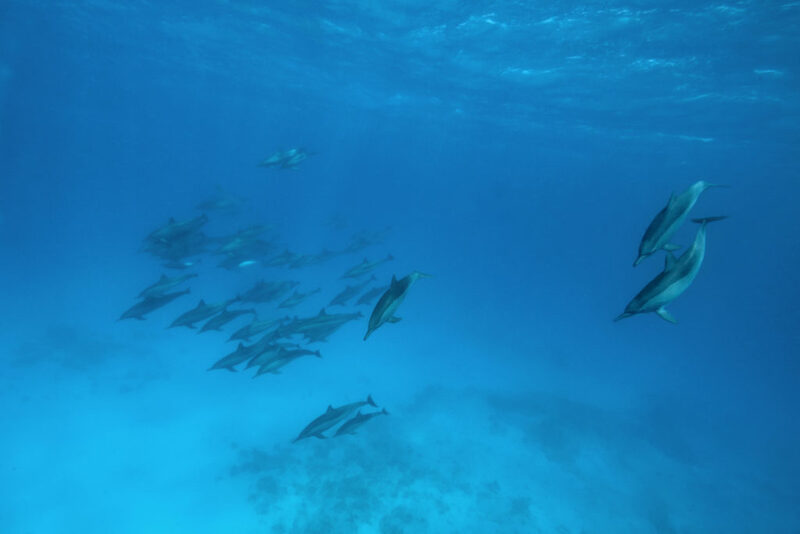 Ecological volunteers observe the dauphins. 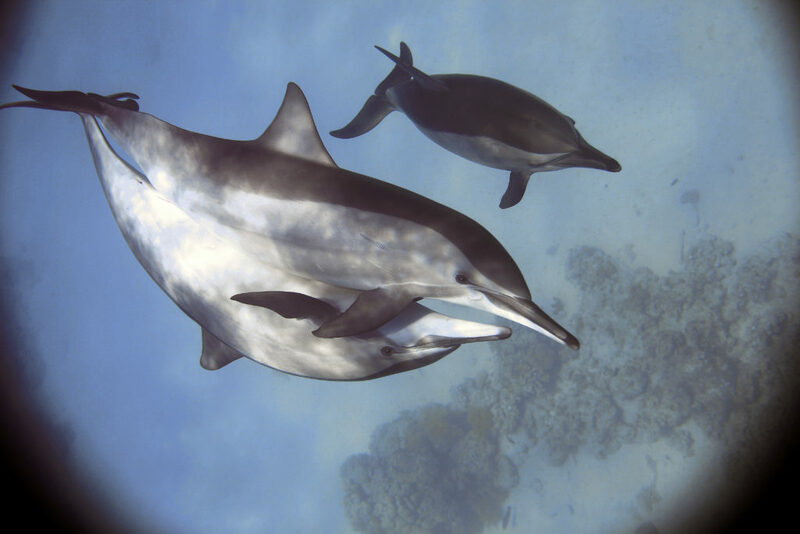 The spiner dolphins (Stella longirostris) in the reef of Shaab Sataya near Marsa Alam on the Red Sea coast. 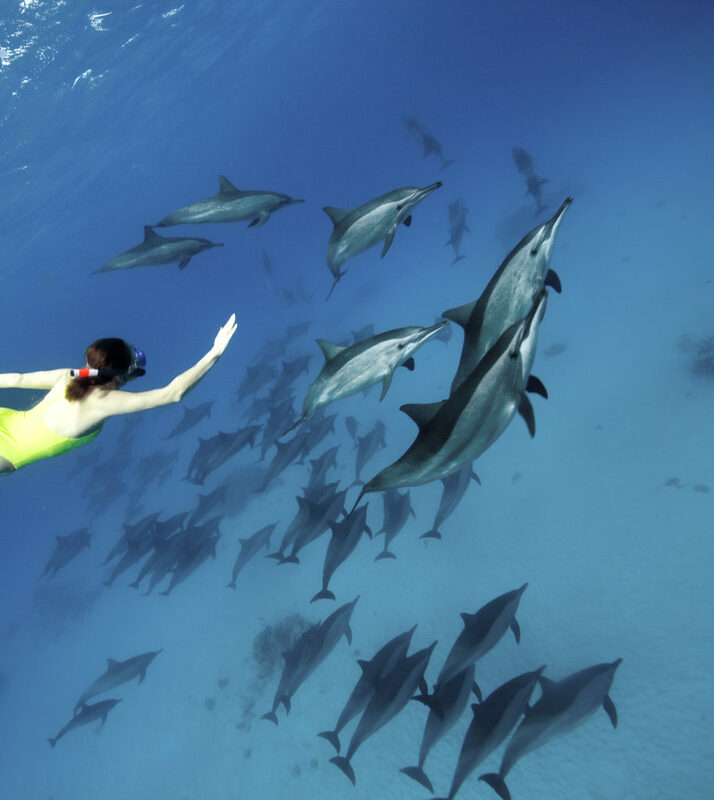 The pressure of touristic activities ruin the delicate ecosystem of marine biodiversity causing a great change in dolphin behavior. Photo by Alexis Duclos.